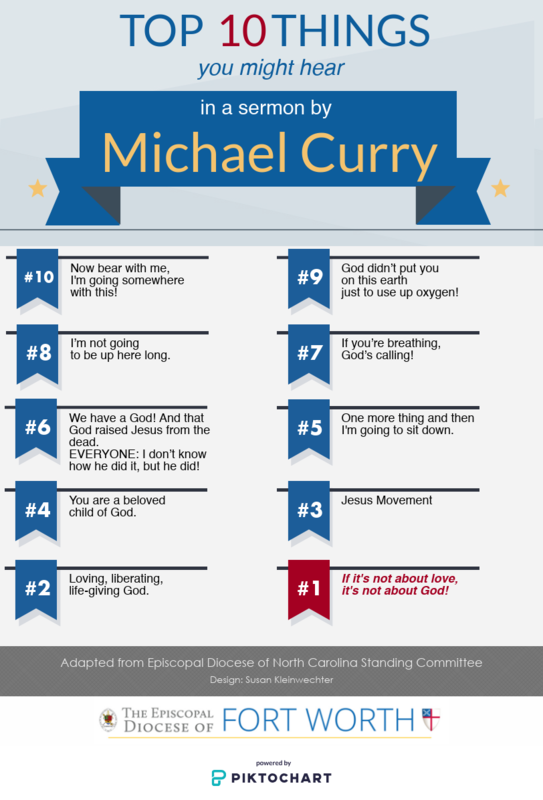 Presiding Bishop Michael Curry is known throughout The Episcopal Church as an energetic, charismatic, inspiring preacher. His stirring manner, his stories, and his passion deeply connect listeners to God’s message of love. 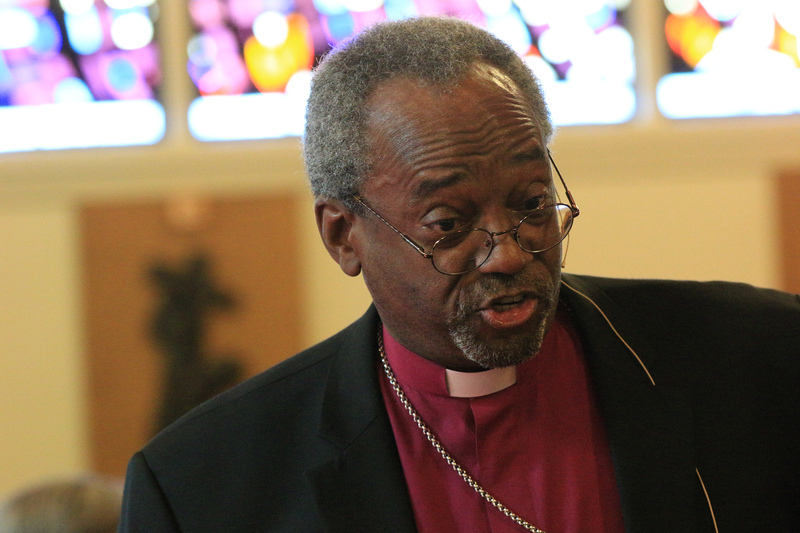 One can only speculate on what Curry’s sermon (address) will be when Prince Harry and Meghan Markle are married Saturday, May 19, 2018 at Saint George’s Chapel in Windsor Castle, England. He will reach a worldwide audience likely to be in the hundreds of millions. Will Curry share themes that are familiar to us in the Diocese of Fort Worth and to others who’ve heard him preach? We’ve got you covered with a bit of fun to give insight into themes and phrases he uses. He’s very clear about his messages, and he has empowered the Church to share them in so many ways! 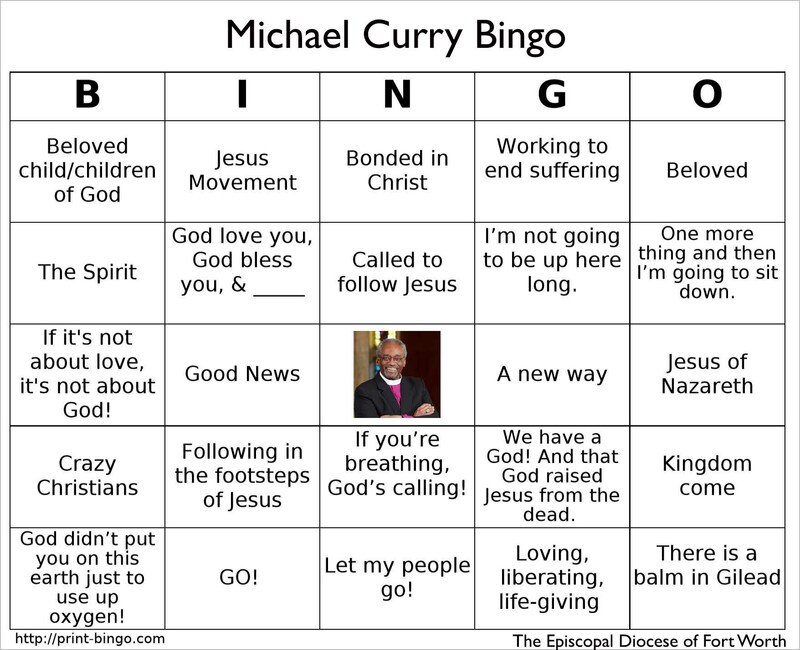 Download a set of 10 Michael Curry bingo cards and play with your friends. This is fun for your family or for a watch party or celebration gathering. What liturgy will be used at the Royal Wedding?